Andrew Female College Building. Courtesy of the Samuel Walker Houston Museum and Cultural Center. Image available on the Internet and included in accordance with Title 17 U.S.C. Section 107. ANDREW FEMALE COLLEGE. Andrew Female College, at Huntsville, was founded in 1852 and chartered on February 7, 1853, by the Texas Conference of Methodist Churches. The institution was named for Bishop James Osgood Andrew, and the first president was James M. Follansbee. Among the original trustees were Charles G. Keenan, Henderson Yoakum, and Daniel Baker; Tom H. Ball was an early president of the school. The college was erected on the site of present Huntsville High School. Andrew Female College provided young women a classical education and classes in music, art, and embroidery. 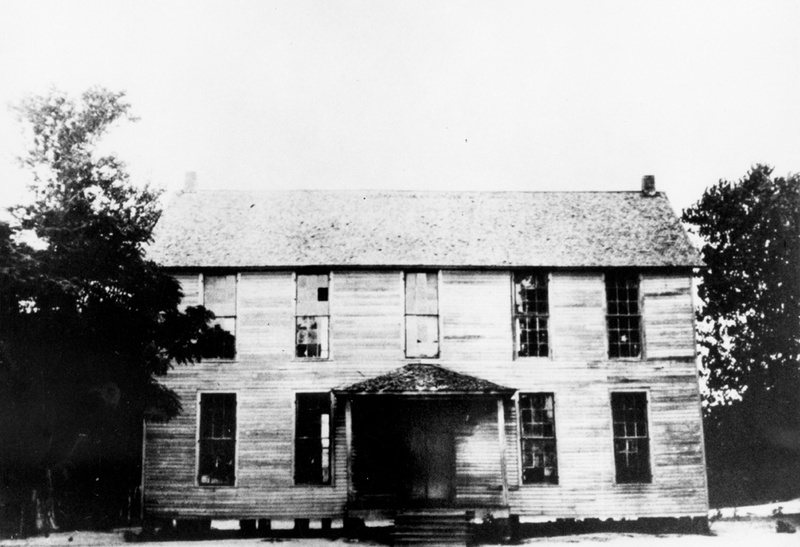 The college closed in 1879, and the building was moved to house a school for black children. D'Anne McAdams Crews, ed., Huntsville and Walker County, Texas: A Bicentennial History (Huntsville, Texas: Sam Houston State University, 1976). Hans Peter Nielsen Gammel, comp., Laws of Texas, 1822–1897 (10 vols., Austin: Gammel, 1898). Handbook of Texas Online, "ANDREW FEMALE COLLEGE," accessed April 18, 2019, http://www.tshaonline.org/handbook/online/articles/kba11. Uploaded on June 9, 2010. Modified on August 8, 2017. Published by the Texas State Historical Association.